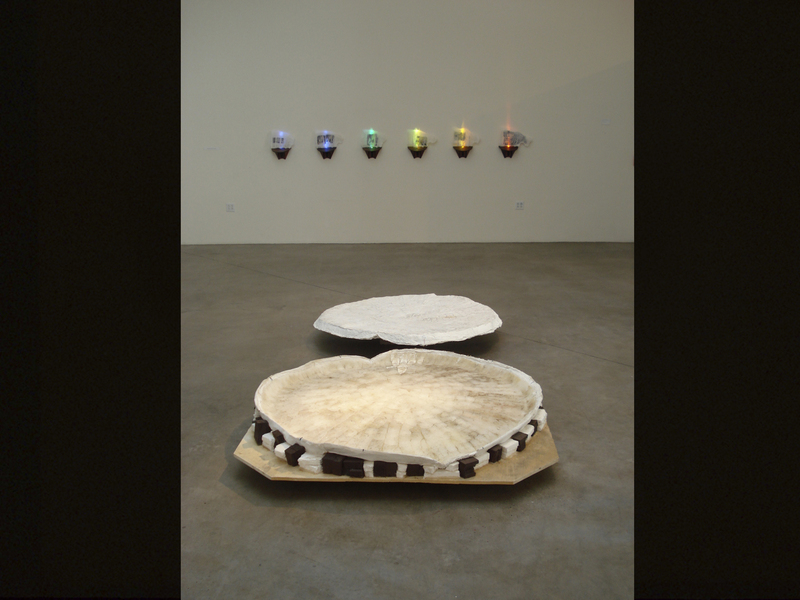 Archival pigment print scroll (42" x 15 ft), suspended hand lenses, dichromate hologram of solar cell, paraffin wax, LED's, digital photos on translucent paper, projected DVD in dark room, 2 part 5ft. 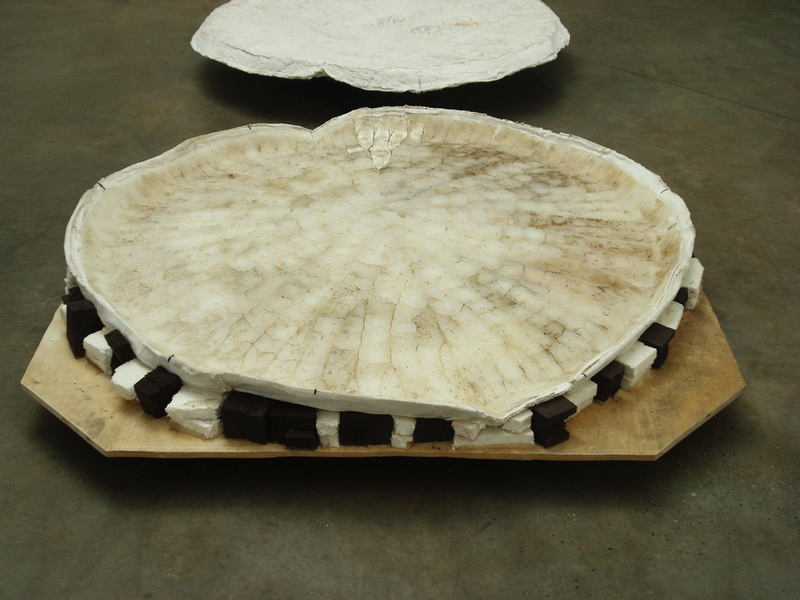 diameter mold of plaster and silicon on wood portions of shipping crate. This installation is focused around the display of a 5 ft. diameter mold of the victoria amazonica, the world’s largest water lily from the Amazon Rainforest of Brazil. As an ongoing extensive project, an initial phase involved making a successful mold of an exceptionally large water lily, on site in the Amazon. 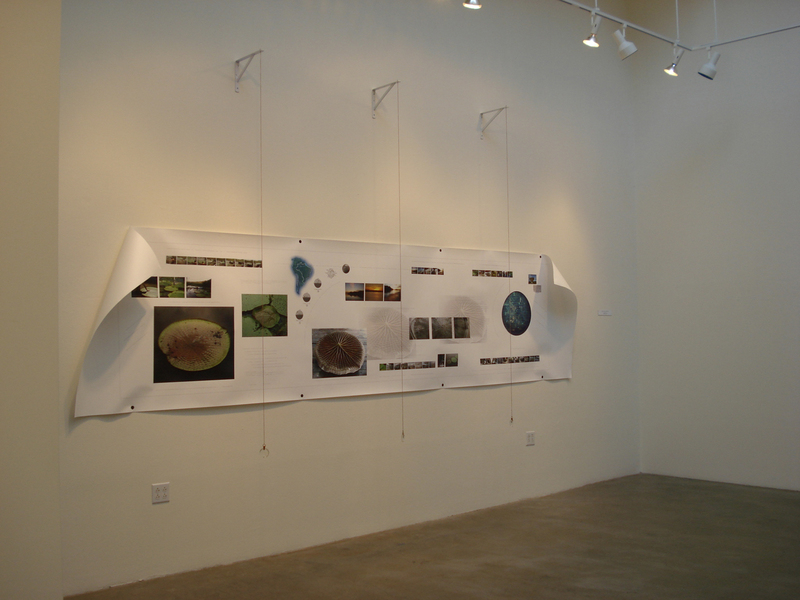 On one surrounding wall a 15 ft. scroll stories, through photos and text, experiences on two trips and six attempts to complete a successful mold of this unusual organism. It outlines the context of a bioregion extremely vital for what it produces biologically, yet presently under great threat via the reciprocal effects of deforestation and climate change. A small object with a dichromate hologram of a solar cell draws report with the nearby impression of the giant leaf and, by association, recalling leaves as the inspiration for photo-voltaic cells. 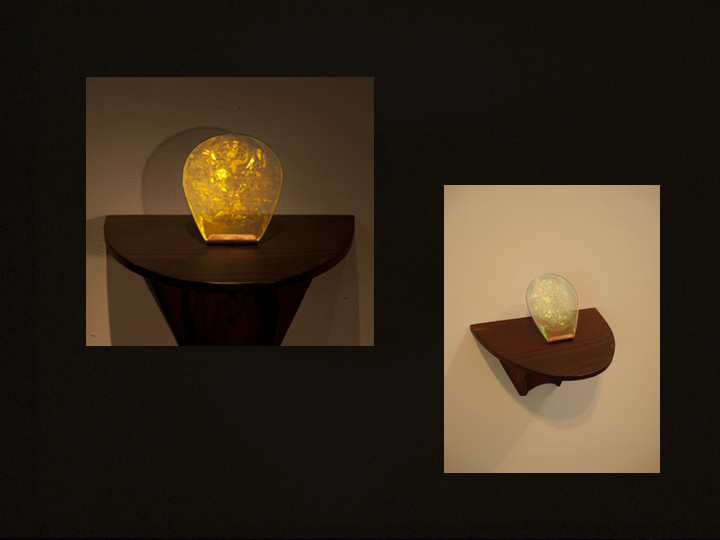 A series of small shelves with translucent wax impressions of the complex, underside of the lily are backlit with a two LED colors per shelf….a representation through linear time of the most pronounced frequencies of the sun's radiation affecting the plants growth in each phase of transformation. 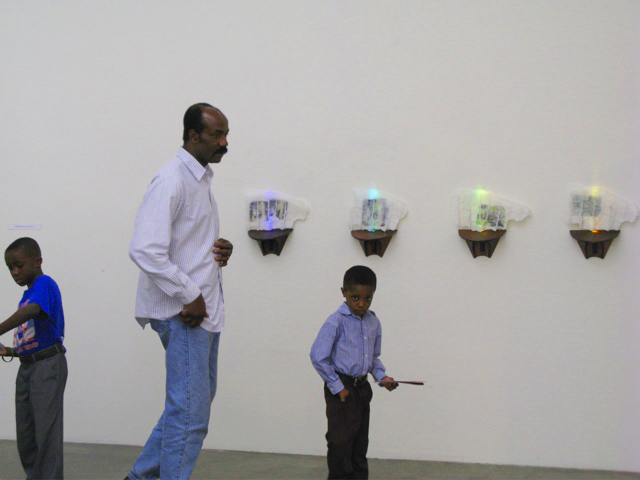 Nearby in an enclosed room, a continuous loop video slows one into painterly, haunted sounds of the primordial edges of the Amazon.